We eat a lot of corn on the cob. So good! 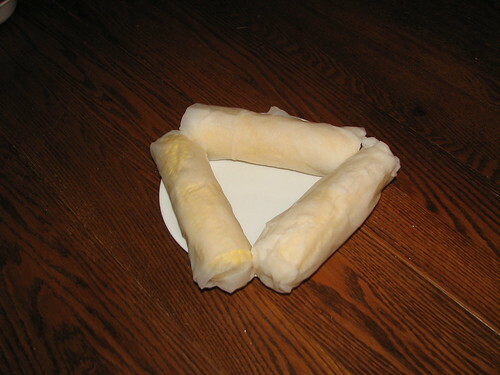 We only need three ears for supper, so I wrap them in wet paper towels and cook them in the microwave rather than in a pot of boiling water. It’s easy, fast, and leaves no pot to clean. 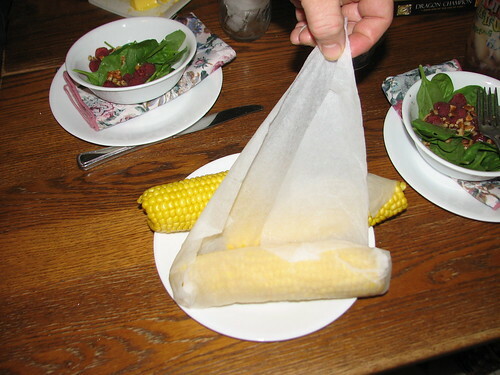 Before cooking, husk and clean the ears of corn. 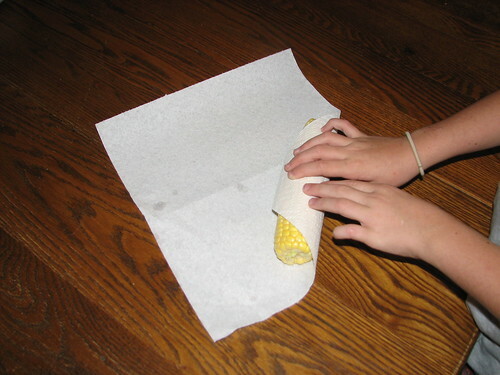 DD demonstrates how easy it is to prepare the corn for cooking. 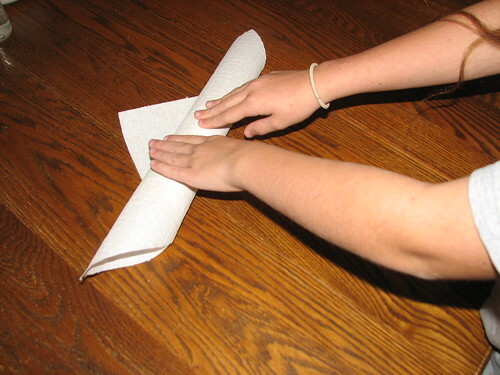 We use a square of DRY paper toweling. We’ll wet it after wrapping. Place the ear diagonally across the corner. 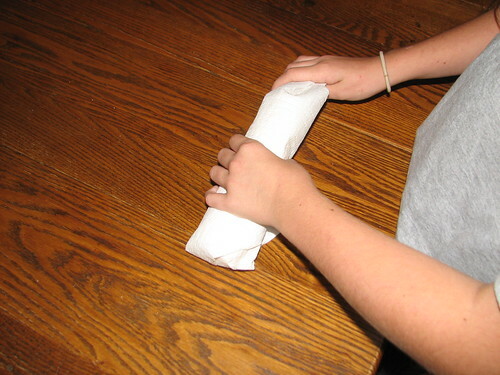 Roll it to the opposite corner. 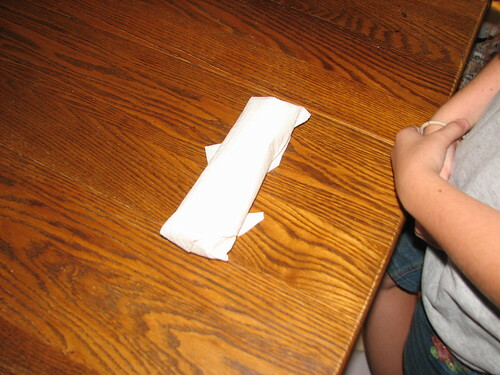 Don’t tuck under the side corners of the paper towel until the ear is completely rolled, corner to corner. If tucked in before the ear is completely rolled, it will be harder to unroll when it is hot and steaming. Wrapped and ready for the next step. Wet each wrapped ear of corn at the sink. 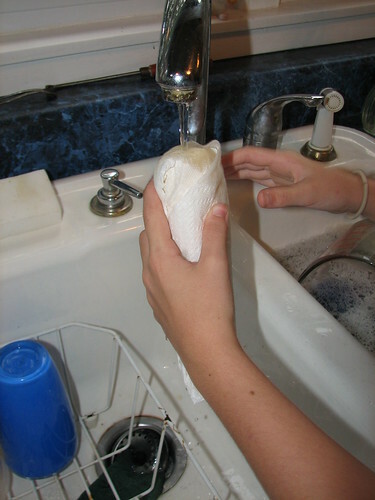 Soak all the paper toweling. Place the ears on a microwave plate or platter. When cooking three ears, we place them in a triangle to aid in even cooking. I cook three ears on high for five minutes, turn them over and cook for one more minute. You will need to try your own microwave a few times to determine the best cooking time. 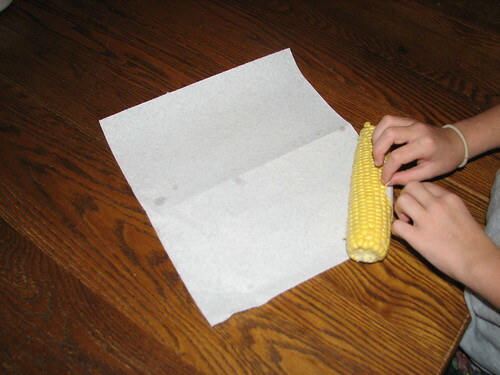 Carefully unwrap each ear of corn. Be careful! It will be very hot and steaming. Butter, freshly cracked salt and black pepper…so good! 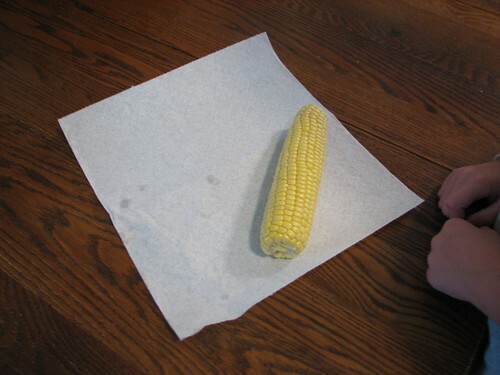 This entry was written by ~~Rhonda, posted on September 3, 2008 at 9:26 am, filed under Recipes and tagged cooking, corn on the cob. Bookmark the permalink. Follow any comments here with the RSS feed for this post. Post a comment or leave a trackback: Trackback URL. 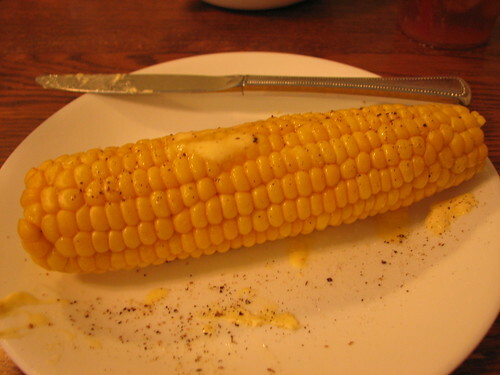 I LOVE corn on the cob! I am going to have to try making it this way.